Hi, my name is Greg Lyon and I’m starting this blog to keep track of the story of my knee injury and subsequent recovery. I’m a skier, this is directly related to my injury as you’ll find out. 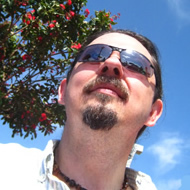 I’m a Lead Web Developer at Blue Earth Interactive, so you may find posts about system architecture, programming, databases, project management, and the like; emphasis on PHP, MySQL, LAMP Stack, .NET, Moodle open source LMS. These posts will be as much for me to refer back to as for anybody else, but I hope you programmer types will find something useful. Initially I am going to tell the ongoing story of my knee injury and recovery. As of this writing I am 3 months out from my initial injury and 1 month out from my knee surgery. I’ve kept a journal of my recovery and will be adding those entries here periodically. I’ll include the original date in the title of the entry. As I go through the stages of injury and recovery I’ve found it to be useful to read about other people’s experiences and so I hope you may find something useful here too.